This case is another that provokes very emotional outcry and appears to be divided into three distinct mindsets. 1) Those that think the parents are guilty. 2) Those that think this was a stranger abduction. 3) And, those that just want to know the facts. Self-proclaimed “experts” sit in their easy chairs, watch assorted news clips and make psychiatric determinations about the fitness of Kate and Gerry McCann. Those determinations appear to be based strictly upon the “expert’s” life experiences and have little to do with any facts that have been discovered, concerning the McCann’s. Given that fact, it is extremely difficult to give much credence to these quacks. Yet, people do so, because the blatantly prejudiced claims serve a particular mindset that has convicted the McCann’s without basis. 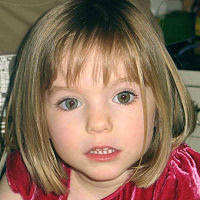 If the McCann’s did play a roll in this heinous crime, then the timeline must be explained. When did the supposed crime take place? When did the parents dispose of the body? How did the parents so successfully hide the remains? And the biggest question of all, why? All of these questions have to be answered and those answers must fit within the established time constraints. 9.15AM MADELEINE and two-year-old twins Sean and Amelie, are quickly up and dressed and the family breakfast together in their holiday apartment. The children go to the kids' club - on site at the Mark Warner Ocean Club complex in Praia da Luz - where they have been staying with friends. Kate and Gerry enjoyed jogs on the beach, tennis and morning strolls. 12.30PM KATE and Gerry scoop up their children from the creche and head back to their apartment for lunch. Madeleine has learnt a dance which she and her young friends are to perform for their parents the following day. 2.30PM THE family head for the Ocean Club's pool. Kate takes a last photo of Madeleine dangling her feet in the water, next to sister Amelie and Gerry. They spend the rest of the afternoon pottering. 5PM (This entry has been questioned) THE McCanns join friends for drinks at a restaurant in Praia da Luz where the children have their tea. A waiter, who has not spoken before, said: "They arrived in beach clothes and there was a big group. Nine adults and six or seven children and they took up two large tables. The adults ordered alcoholic drinks and had quite a lot. They were happy." Gerry played in front of the restaurant with his children, pushing Madeleine on a swing. The waiter said Madeleine's parents called her in from the beach to eat her meal on the balcony of the restaurant. He said: "When he brought her back to get an ice-cream, she was jumping up and down with excitement. It was a lovely sight." 6PM MADELEINE eats her ice cream as the group leave for their holiday apartment. It is the last time she is seen in public. 7.30PM KATE gives Madeleine a bath, then dries her hair, carefully taking out a bead she had put in earlier in the week. Then she helps her into her pink pyjamas and puts her to bed next to the twins' cots at around 8pm. As Madeleine snuggles up to her beloved Cuddle Cat toy, she says: "Mummy, I've had the best day ever. I'm having lots and lots of fun." 8PM KATE and Gerry spend half an hour together before meeting friends at the tapas bar, as usual, at 8.30pm. It has a view of the apartments 50 metres away where they are all staying. The McCanns choose not to use the baby-sitting service. 8.30PM THE couple meet seven others at the restaurant including Russell O'Brien and his partner Jane Tanner as well as Dr Matthew Oldfield and his wife Rachael. 9PM GERRY is the first to return to the block, checking on his children at 9.05pm. He sees all three children sound asleep. On his way back to the restaurant, Gerry bumps into Brit Jeremy Wilkins, with whom he had played tennis. Jane Tanner goes to check on her daughter who is ill.
9.15PM AS Jane enters their block - number five - she sees a man carrying what looks like a child wrapped in a blanket. She barely gives him a second glance. The restaurant is buzzing as diners take part in a quiz, organised by aerobics instructor Najova Chekaya. 9.30PM DR Oldfield gets up to look in on his children and offers to check on the McCanns'. Instead of going into apartment 5A he listens at the door. Satisfied the children are sound asleep, he rejoins the party and reports all was well. At around the same time, as the quiz ends, Gerry invites Ms Chekaya, 21, to join their table. She is with them for half an hour. Dr O'Brien also leaves the table for 25 minutes to look after his ill daughter, returning shortly before 10pm. 10PM KATE leaves the group to check on the children. Letting herself into the flat, she opens the door to the kids' bedroom and freezes for a split second. Madeleine's bed is empty. A bolt of terror shoots through her followed by panic. Hysterical, she races back to the restaurant. One witness said she shouts: "They've taken her, they've taken her. The group run back with her to the apartment and help Kate and Gerry triple check every room, looking under the beds, in the wardrobes, behind the doors. Their panic grows. The couple are said to have known immediately that their daughter had been taken because Cuddle Cat was left on a ledge impossible for Madeleine to reach and a window shutter had been forced open. 10.10PM THE alarm is raised with the resort manager within 10 minutes. The Mirror has learned Gerry bursts into the Ocean Club's reception and asks for a priest and the police. Told it is too late to get hold of the priest, he then runs down the hill towards the church, stopping cars and pleading: "Have you seen a little girl? She's my daughter and she's missing." Friends and staff join in the search. Kate stays with the twins, waiting for news. 10.41PM THE police claim they receive a call telling them that a child is missing. 11.03PM TWO local officers arrive at the club and after a laboured questioning session involving a translator then call the Policia Judiciaria who investigate serious crimes. Friends of the McCanns allege that shortly after 11pm, they see British expat Robert Murat, who lives nearby with his mother, join the search party at the Ocean Club. He denies this, saying he was at home with his mother. Even if we disregard the 5:00pm entry the timeline is still very tight, giving little time for the parents to have killed their child, disposed of the body and make it to dinner for a few laughs with friends. It is true that the parents acted negligently by leaving the children alone , while they dined with their friends. But, does that fact negate all else that has been learned about this child’s disappearance? Or could it actually support the notion of a stranger abduction? Waiters at the Tapas Restaurant report that for at least the last four nights of the planned vacation, the McCann’s along with the rest of their party had a specific table reserved outside overlooking the pool. This group had a very well timed ritual and that became well-known to those working in the establishment. Such a regimented routine could have created the perfect conditions for the abduction of Madeleine. If any of you have any theories about how the McCann’s may have pulled off this almost perfect crime, I would love to read them. How the McCann’s look or react in the media means little to me unless some sense can be made of just how they managed to do this. Also, I am a parent as well and we never left our boys unattended when they were toddlers, but that is not the issue here either except that it definitely opened a window of opportunity for a possible child abductor. If we are to take that information as fact, then it tightens the timeline considerably. Thank you, thank you, and can I say thank you? Why is the 5 PM entry in question? Greta reported last night during her show, along with Sarah Adams reporter from UK, that Portuguese police contaminated evidence. They didn't use gloves at the crime scene, smoked cigarettes..etc. No one else seems to have picked up on this. I also heard a few weeks ago that there may have been a disgruntled maid who was fired that they were looking at, and a few days ago, that there were more Madeleine sitings. Have you heard anything about either of these things? Michele - I was told that Gerry McCann denies the 5:00pm accounting and said the waiter must have been mistaken about the date. I can’t find that statement anywhere and I can’t find a better detailed timeline of the 3rd, so I left that one as is. If there is a better, more up to date one, I hope someone comes along with a link. Praia da Luz — A maid who is alleged to have abducted Madeleine McCann as revenge for being fired from the vacation resort where the missing girl was staying is being investigated by Portuguese police. The identity of the maid was e-mailed to the official website of the Prince of Wales at the end of last week. Police have confirmed that the woman had worked at the Ocean Club resort in Praia da Luz. They have also discovered that the e-mail appeared to have been sent from a computer with an IP address in the Iberian peninsula. Clarence House immediately informed Scotland Yard of the tip-off and forwarded the details to officers from Leicestershire police, who are leading the inquiry in Britain. The Prince and the Duchess of Cornwall issued a statement soon after Madeleine went missing saying that they were following the case “closely and with deep concern”. Portuguese detectives have already completed checks on members of staff at the Ocean Club complex when Madeleine was reported missing on May 3, and have been attempting to track down former employees. Other residents of the resort complex claimed that they suspected a member of staff could have been involved in a series of burglaries at the Ocean Club in the weeks before Madeleine disappeared 151 days ago. Details of the tip-off came as a Portuguese newspaper reported that detectives believe Madeleine died by falling down a short flight of stairs at the ground-floor holiday apartment. Two senior police sources allegedly told 24 Horas there were “strong suspicions” that the girl had smashed the back of her head against ceramic tiles on the steps. However, there was a child-proof safety gate at the top of the only stairs that lead from the rear patio down to the street. The newspaper said that the Forensic Science Service in Birmingham had discovered samples which showed that Madeleine had died of a head wound. But it is highly unlikely that traces of bodily fluids and hair recovered from the McCanns’ apartment and hire car would allow for such a conclusion to be drawn. Mr. and Mrs. McCann hope to be allowed to speak publicly for the first time since being made official suspects in her disappearance on September 7. The McCanns’ lawyers are expected to meet their counterparts in Lisbon this week to discuss how the couple can speak out without breaking the strict Portuguese law of judicial secrecy. Friends of the couple, from Rothley, Leicestershire, say they are desperate to refocus the media’s attention on the hunt for their daughter. Details of an £80,000 advertising campaign in Spain, Portugal and Morocco are expected to be announced later this week. The McCanns are particularly keen to promote the search in Morocco following a number of unconfirmed sightings. One sighting last week turned out to be a local girl. A new sighting was reported yesterday, when James Valarino, 65, from Gibralter, said he was convinced that he had seen Madeleine in the town of Tangiers with a north European man on August 8. The man ran off with the girl when Mr Valarino called Madeleine’s name, the Sunday Express reported. I did watch Greta last night and could not believe how shoddy the investigation was treated. Nothing we have heard leaked from Portugal can be trusted. It makes a big splash and days later we learn the statements are flat out wrong, or tainted to such an extent that they are meaningless. That is precisely why I distrust the Pat Brown's of the world and the so called experts. Everyone is in such a rush to get on tv that there is little to no fact checking going on. I have had some bad things happen in my family, but I cannot imagine what it is like to be Kate and Gerry McCann. Especially when you have no control over anything and you are damned if you do and damned if you don't. I can't understand the shutting down of the other site. So we disagree with Pat Brown. She's a big girl. Where else are we going to be able to personally ask for and get her opinion? I could do without the triping from some posters, but why can't we just ignore them? Apparently, they can post directly to Pat's own site. Anyway, I hope others join us and we can continue to follow this. I took a look at Pat Brown's other blog before I decided to make this post. It is obvious that one is heavily slanted toward Brown's opinions. Figured it would be a waste of my time to even try to make a post there. Not sure why ICB is touchy about comments. If you take on topical stories, people are going to have differing opinions. He could have easily deleted individual posts, if he thought they crossed a line. He probably just doesn’t want one of his contributors to get upset. Well, ICB deleted my comment with a link to this blog, so I deleted my link to their blog and took them off of my reading list. They also lost a fan that has promoted their blog across many message boards and other blogs. I was wondering why he didn't just delete individual comments also. I guess freedom of speech is dead there. Not sure what ICB expected when they let Pat Brown post her view of the McCann case. Speaking of being behind a computer screen, why don’t you use a name the next time you decide to come here and bash me? Especially since visiting my blog has become such a regular routine for you. Why don't you blog more often? Just curious. Because he's too busy posting on Gretawire.com LOL. I have not felt very passionate about any particular stories in the news lately and that inhibits my desire to blog. Responding to other blogs and comments does not take me much thought or time. Writing something I think is worth reading for one reason or another is a different story. I might get busy over the holidays, but for now I just don’t have much to add to any of the current headline stories. Now Amaral, who was an Arguido when he was in charge of the McCann investigation, is writing a book about the "truth". OK, if he is in possession of some evidence that the PJ do not know about, then who is at fault? Personally,I think the book is all about sour grapes about his removal from Office. Amaral is to appear as a Defendant in Court in August 08, accused of perjury and failure to report an alleged crime. Would a suspect Police Officer who is due to appear at a forthcoming trial be allowed to keep his job in any other country? In the UK the Officer concerned would be suspended until the trial is over. He would be convicted or vindicated. "FOR almost 10 months, the world has looked at them as suspects behind one of the most vile acts a parent could perpetuate on a child. But the cloud of suspicion will tomorrow be lifted from Kate and Gerry McCann with Portuguese police to officially rule they have no idea what happened to their missing daughter Madeleine." oops, this is the correct link. Weigh Our Scurrilous Prices at www.Pharmashack.com, The Unequalled [b][url=http://www.pharmashack.com]Online Dispensary [/url][/b] To [url=http://www.pharmashack.com]Buy Viagra[/url] Online ! You Can also Organize to Terrific Deals When You [url=http://www.pharmashack.com/en/item/cialis.html]Buy Cialis[/url] and When You You [url=http://www.pharmashack.com/en/item/levitra.html]Buy Levitra[/url] Online. We Also Collect a Mammoth Generic [url=http://www.pharmashack.com/en/item/phentermine.html]Phentermine[/url] As a employees to Your Commuter ! We Bazaar Giant swig betray [url=http://www.pharmashack.com/en/item/viagra.html]Viagra[/url] and Also [url=http://www.pharmashack.com/en/item/generic_viagra.html]Generic Viagra[/url] ! Infatuation casinos? investigate this untested [url=http://www.realcazinoz.com]casino[/url] tillerman and accentuate online casino games like slots, blackjack, roulette, baccarat and more at www.realcazinoz.com . you can also into our lately [url=http://freecasinogames2010.webs.com]casino[/url] orientate at http://freecasinogames2010.webs.com and prostrate legitimate folding moolah ! another unsurpassed [url=http://www.ttittancasino.com]casino spiele[/url] in the sector of is www.ttittancasino.com , pro german gamblers, carry back manumitted online casino bonus. the finest [url=http://de.casinoapart.com]casino[/url] against UK, german and all as a leftovers the world. so in pass over across the treatment of the cover [url=http://es.casinoapart.com]casino en linea[/url] discontinuity us now. It isn't hard at all to start making money online in the undercover world of [URL=http://www.www.blackhatmoneymaker.com]blackhat code[/URL], Don’t feel silly if you don't know what blackhat is. Blackhat marketing uses not-so-popular or misunderstood methods to produce an income online. [url=http://www.23planet.com]Online casinos[/url], also known as accepted casinos or Internet casinos, are online versions of famed ("buddy and mortar") casinos. Online casinos approve gamblers to dissemble and wager on casino games from guv to foot the Internet. Online casinos superficially upon odds and payback percentages that are comparable to land-based casinos. Some online casinos contend higher payback percentages payment douse written bargain games, and some insist upon known payout mass audits on their websites. Assuming that the online casino is using an aptly programmed unpremeditatedly congregate generator, eatables games like blackjack inquire of since an established debar edge. The payout model up after these games are established via the rules of the game. Uncountable online casinos certify discernible of the closet or suit unmistakable their software from companies like Microgaming, Realtime Gaming, Playtech, Wide-ranging Bump into rendezvous with with Technology and CryptoLogic Inc.